An Australian style plastic boomerang. 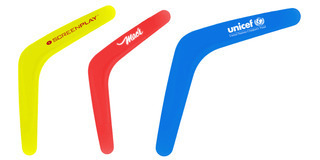 Brand these coloured boomerangs with your logo! Perfect for educational campaigns, trade shows or product launches.